Wheel, hub dynamo and fittings for all Bromtpon models. Hub weight 305g. 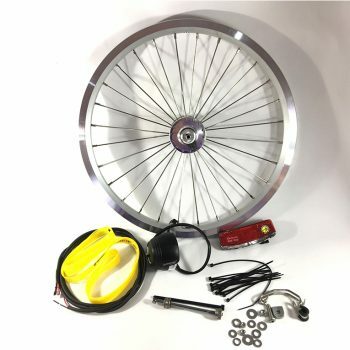 New from Brompton for 2019: the SP (Shutter Precision) SV-8 hub dynamo front wheel, front and rear light, cables, front mounting bracket and instructions. The SP SV8 is a small, lightweight dynamo hub. Built into the Brompton front wheel to provide the power for front and rear lights with little increase to weight or rolling resistance over the normal Brompton front wheel. Brompton introduced this dynamo set in 2019 to replace the Shimano and SON hub dynamo systems. 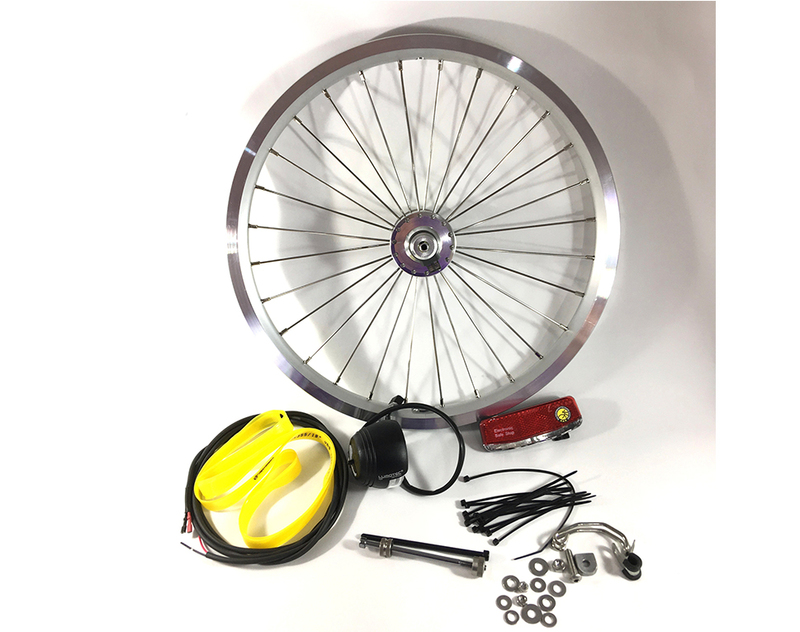 It comprises a 16 inch Brompton / SP SV-8 hub dynamo front wheel and everything you need for the complete dynamo system. The front light is a B+M (Busch and Müller) Lyt BN Plus- producing approx 25 lumens of power, and the rear light is a Spanninga Solo single LED light with built in reflector.